Dr. Rutkowski served as the Director of the National Rotorcraft Technology Center (NRTC), an award-winning national consortium of industry, government and university participants carrying out a broad spectrum of rotorcraft science and technology projects to strengthen US competitiveness in the world. Rutkowski also led the Vertical Lift Research Centers of Excellence program, a basic research initiative whose “high-risk, high-payoff” cutting edge technical work is performed by faculty and graduate student teams at Georgia Tech, the University of Maryland and The Pennsylvania State University and associated universities. Rutkowski began his career during the heady days of the space program in 1967 as an aerospace engineer at NASA Johnson Space Center. He held degrees from the University of Michigan (B.S.E., Mathematics and Physics, 1965; M.S.E., Engineering Mechanics, 1967) and Stanford University (Ph.D., Aeronautics and Astronautics, 1976). In 1978, he joined the Aeromechanics Laboratory of the US Army Research and Technology Laboratories. 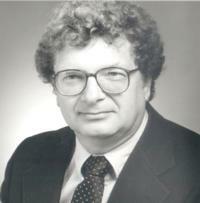 Under the direction of Dr. Robert Ormiston, Rutkowski made significant contributions during 1983-1997 as project engineer and later project manager to the Army’s Second Generation Comprehensive Helicopter System (2GCHAS) Development Team, a highly successful program to help analyze and design new Army helicopters and other aircraft. At AFDD, he developed a finite element program capable of analyzing the free vibration of rotating beams and used the program to investigate the vibration characteristics of a coupled helicopter rotor-fuselage. He was a member of the National Full Scale Aerodynamics Complex 80x120 Foot Wind Tunnel Accident Investigations Board. In 1981, Rutkowski served as a member of the Army Helicopter Improvement Program (AHIP) Near-Term Scout Helicopter Source Selection Board held in St. Louis. From 2005 to 2013, he also chaired the UH-60A Airloads Workshop, which in 2007 was recognized with the NASA Group Achievement Award. Prior to 2007, Rutkowski served as Chief Scientist at NRTC (2005-2007), Deputy Division Chief for the Army/NASA Rotorcraft Division at Moffett Field, California (1998-2005), and Assistant Chief of the Aeromechanics Branch of the Army/ NASA Rotorcraft Division (1997-1998). His awards include the Schroers Award for Outstanding Rotorcraft Research, given by the AHS San Francisco Bay Area Chapter (1996); the NASA Ames Research Center Contracting Officer’s Technical Representative of the year award (1996); the Army Research and Development Achievement Award (1994); and recognition as an Associate Fellow by the American Institute for Aeronautics and Astronautics (AIAA) (1989). During his career, he authored or coauthored more than 15 technical papers and reports presented at international meetings of the AHS and AIAA, where he was a frequent presenter. Rutkowski will be remembered as an extraordinary team leader and engineer who bridged the US Army and NASA rotary wing research communities, and as a person of quiet good humor, intellect and style. Dr. Michael J. Rutkowski, professional engineering mainstay at the US Army Aeroflightdynamics Directorate at Moffett Field, California for more than 35 years, passed away on September 10, 2014 after a long battle with cancer.